be somewhere in the seams. ‘s hand. I can’t even breathe anymore. my face out of a larger face. My giant mask made of stone. for all of these experiences. opens up. The sky closes. a glass. I dig a trench. I set a fire. born. Later, we’ll laugh about this. our drinks & we made an ocean? another step towards an exit. seem to leave everything unfinished. asks me to choose a password. in whatever cycle it’s stuck. It’s all a series of locked grooves. in a way that feels so organic. & being too busy & I’m sorry. there will finally be room. characters occupy a small room. precisely in order to survive. 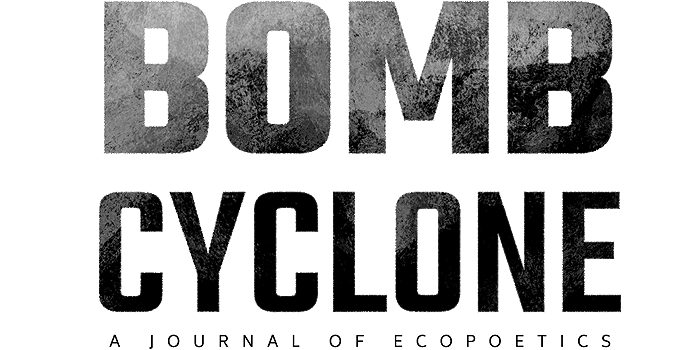 Nicholas Bon lives in Tallahassee and edits Epigraph Magazine. Their chapbook, My Circus Mouth, is forthcoming from Ghost City Press, and their recent poems can be found in Yes Poetry, (b)OINK, Dream Pop Journal, and elsewhere. They can be found online at nicholasbon.com or on twitter @1000000horses.